Arm yourself just like Link with this authentic Legend of Zelda Link Shield. Once you have yourself properly armed like the Hylian hero, you'll be able to not only take down bad guys, but look pretty cool too. Princess Zelda, and maybe even a few others, will be swooning at the sight of her savior. 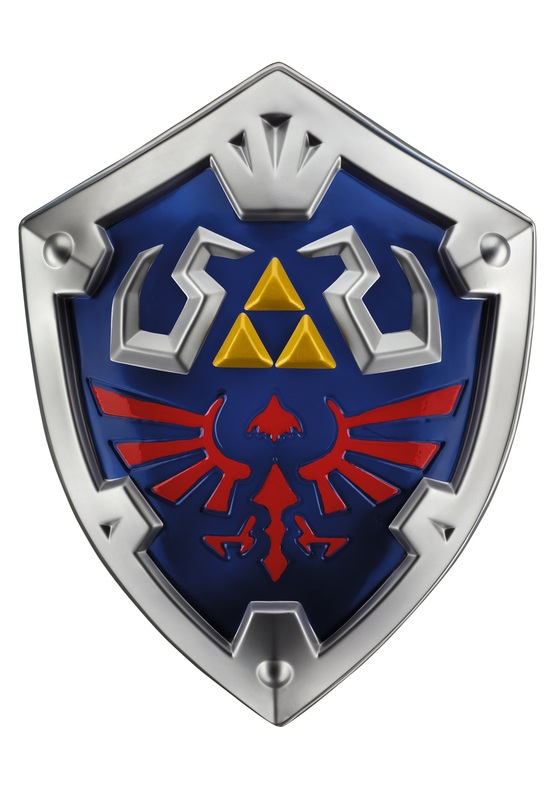 This shield will have you brushing off any blows the jealous boyfriends, and would be boyfriends of the ladies at the big Nintendo bash try to land. And don't forget to pick up a Legend of Zelda Sword from us before you go. You never know when you will need to duel for a lovely princess. Hopefully, when you get done with your duel for her honor you wont be told that she is in another castle. But maybe that only happens to Italian plumbers. I had hoped that the plastic molded shield would be firmer like a frisbee, but what we received was considerably less so. That said, it is still a good design and has good coloring.